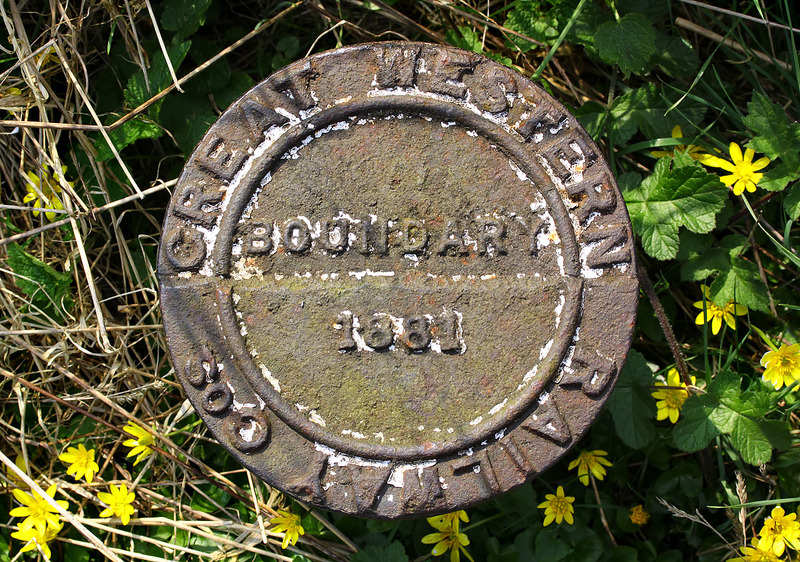 Along with most other Victorian railway companies, the Great Western Railway was very keen to mark out the exact boundary of its property. It installed numerous cast iron boundary posts along the borders of its domain, and amazingly a vast number still survive. This 1881 example is pictured amid the Lesser Celandines at Rousham on 18 April 2010. Obviously painted white at some time, just a few flakes of paint now remain.